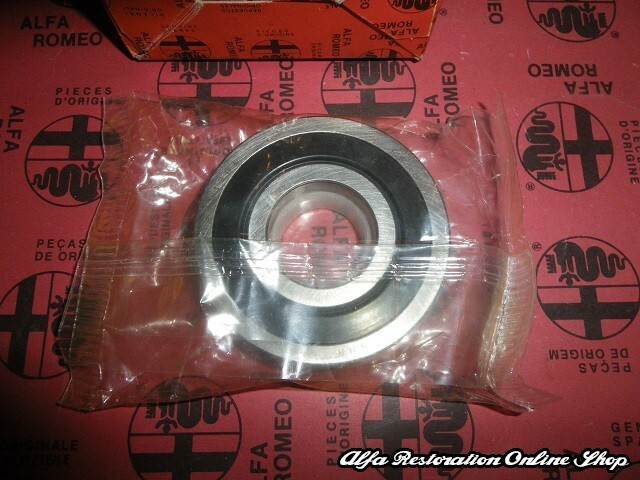 Alfa 155/164 2.5 V6/2.0 TB/3.0 V6 24V Gearbox Secondary Shaft Bearing (Gearbox Tail Side). 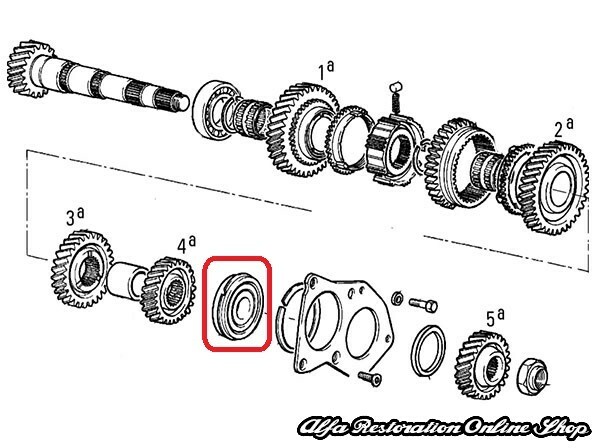 It is the secondary shaft bearing which is located on the gearbox end side between the 4th and 5th gear. Original part number 60808449/7747273/60800518. 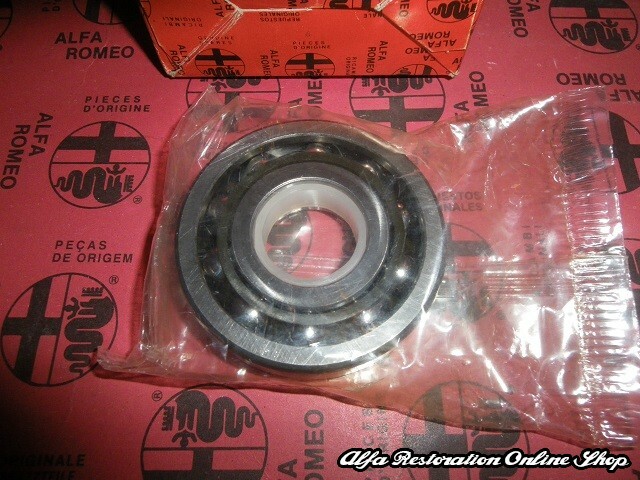 Prior ordering, please make sure the bearing is compatible with the vehicle by checking on the VIN number or you may ask us to check compatibility too. 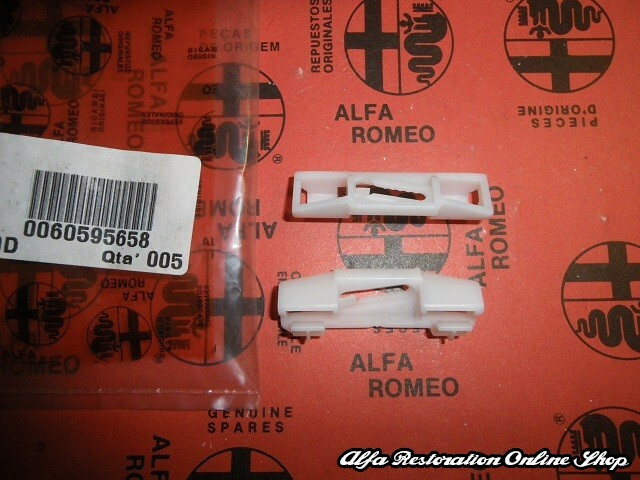 Suitable for ALFA ROMEO 155 2500 TD/2.5 T.DS. 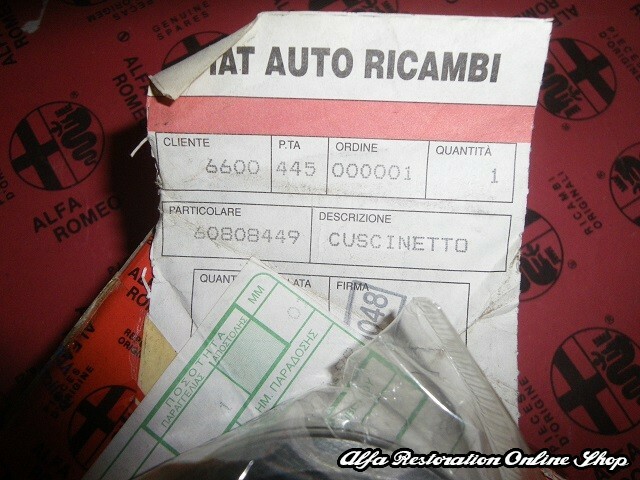 CF2/2000 TB/BZ 4X4 (1992-1996), ALFA ROMEO 164 3000 6V Q.V. 24VALVE FL92/2500 TB/DS, 2500 TB/DS CF2 (1992-1997), ALFA ROMEO 164 2000 TB V6/3000 V6 24V/2500 TB/DS/2500 TB/DS(CF2) SUPER (1992-1997), ALFA ROMEO 164 USA MY.94-95 (1993-1995), FIAT COUPE' (1994-1996), LANCIA DEDRA IE.TB.INTEGRALE (1990-1994), LANCIA DELTA 4WD (1986-1991), LANCIA DELTA EVOLUZIONE (1991-1994), LANCIA THEMA BZ/DS R.88 (1988-1992).